Solid State Ceramics Inc. | Trusted experts in piezoceramics. We deliver the state-of-the-art solutions to your engineering problems. SSC has vertically integrated thick film piezoceramic device manufacturing line capable of prototyping multilayer co-fired devices, all made in USA. 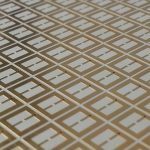 SSC offers Textured Ceramic materials with enhanced piezoelectric response in order to respond the a growing interest for low-cost single crystal-like performance transducer materials from Underwater Sonar and Acoustic Transducer market. SSC offers engineering services along each step of the piezoelectric device design (COMSOL FEA), production, testing and system integration. We are the trusted experts in piezoceramics! SSC team conducts ongoing fundamental research and development in the fields of textured ceramics, applied piezoelectrics and dielectric materials processing. SSC produces non-magnetic, highly efficient and fast charging transformers for a variety of applications such as capacitive charging, electronic Safe and Arms Devices (ESAD) or munitions. Our transformer are 10x efficient than SOA and highly tailorable to custom applications. To learn more about our transformers see our products page. SSC produces piezoceramic energy harvester and sensors using our state-of-art co-fire multilayer technology for high power, wide range of mechanical input applications such as gun launch, rocket engine vibrations, spinal movements. Our energy harvester sensors offer low electrical impedance and high temperature operation capabilities higter than 250 celcius. 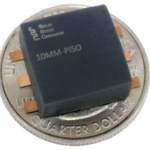 To learn more about our piezoceramic energy harvesters and sensors see our products page. SSC produces enhanced piezoelectric response, low drive voltage Piezoelectric Actuators for a high temperature proportional valve and automotive applications. Our actuators are easily scalable and highly tailorable to custom applications which requires high temperature operation conditions up to 250 Celsius degrees. To learn more about our state-of-art piezoelectric actuators, see our products page. 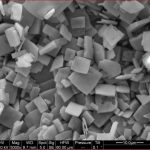 SSC produces state-of-art single textured ceramics with crystal-like properties for a variety of applications such as underwater acoustic transducers and acoustic sensors. 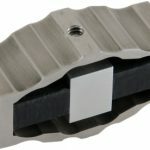 Our low-cost textured ceramics technology can be used for custom device design and manufacturing. To learn more about our textured ceramics, see our products page.